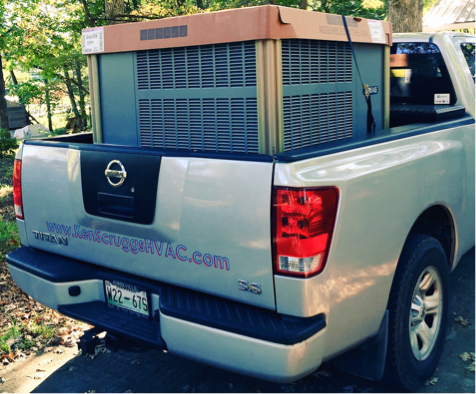 Since 1993, family-owned Scruggs Heating & Cooling has proudly served East Tennessee. We specialize in the design, installation, testing and service of most major residential & light commercial air conditioning, heating, & indoor air quality products. ​Ken has been in the business of making people comfortable for over 40 years. After relocating from Memphis in 1993, He founded Scruggs Appliance Service. Fast forward two decades and a name change, Scruggs Heating & Cooling is now one of Sevier County''s leading Heating & Cooling providers. Besides being our resident "Boss-man", Ken also serves as our lead Service & Installation Technician. When he's not at work, Ken enjoys riding his motorcycle, and spending time with his wife, Angie, and grandson Maximus. ​Our second-in-command; Ben began learning the trade in his dad's footsteps at the age of 8. Now with well over a decade of experience and numerous certifications under his belt, he serves as a Service & Installation technician as well as our office manager. When he's not on the job, you can find Ben working with Keep Sevier Beautiful, where he serves on the Board of Directors, and out exploring East Tennessee with his fiancé.